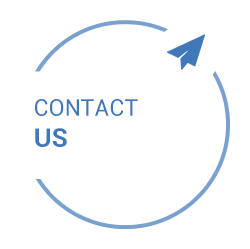 WHAT SETS Garner Chiropractic APART? 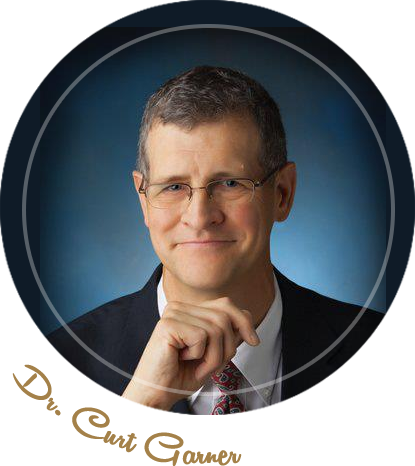 Dr. Curt Garner brings nearly 32 years of experience to his interaction with each patient. His insight and passion to solve problems, enables him to help patients who have often been suffering for years. His techniques, like the Activator Method, are gentle and effective. And his approach is one that leaves you knowing more about your health and body than when you arrived. Chances are, you’ll leave feeling great physically, and also feeling great about coming back. At Garner Chiropractic we allow patients to self-select their involvement with us. We don’t believe in nagging people into “just one more visit”. We see it as a victory when you achieve your health goal; and it’s entirely your choice to discontinue care or decrease the frequency of your care. 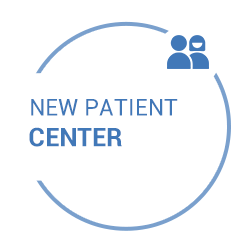 We feel like this approach honors our patients, and we find that patients want to come back as needed when they’ve been taken care of so well. We see many patients who’ve been to other chiropractors in the past and who kept on looking. We don't pressure our patients to commit to elaborate health care plans. Our focus is on relief care. 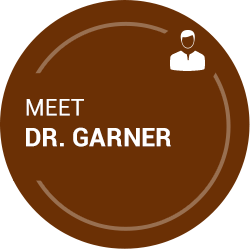 The number of visits Dr. Garner recommends will depend upon your condition and your health goal. On average, he sees patients with non-chronic conditions recover within just 4-6 visits. Patients suffering from chronic pain generally experience relief in that same time frame, but may need more regular visits in order to see lasting change. Why not give us a try? Find out why our referral-based practice just keeps on growing! I was skeptical about chiropractic care because I’d never been to a chiropractor before. I only had four treatments and I felt a world of difference. Now I recommend Dr. Garner to everyone I know. I feel blessed to have ‘found’ you. Truly one of the best chiropractic sessions ever! Appreciate the overall experience. Having spent 12 years in medicine I know what constitutes excellent care and the experience was excellent. Thx! I really liked the feeling that I was gaining a partner in looking out for my spinal health. Best chiropractor that I have ever been to. Dr. Garner and his staff are wonderful and thorough. My pain on a scale of 1-10 10 being the worst, I was about a 12 and I had not slept in days. After my session I went home, got a good nights sleep when I went to work the next day, I was able to bend sit or stand with much more ease and my pain level at it’s worst was about a 4. Thank you Dr. Garner! I was skeptical when the device was being used on my neck and shoulder, however, when I sat up, I was truly amazed with the results. Dr. Garner and Patti were thorough to say the least and very professional. I feel very confident in their abilities to take care of me. Dr. Garner was extremely pleasant. He listened patiently and seemed concerned about the pain I was experiencing. He explained the procedure in great detail. I felt immediate relief in my neck and back by the time I left the office! Doctor and staff made my wife and I extremely comfortable! After Dr. Garner adjusted me, I felt instant relief. Even after a few days, I have not been experiencing the same level of pain like what I did before. I’m so excited to see him again so I can feel even better. I was terrified to go because of past experiences. My husband made me go! I feel so much better! The staff was awesome and there isn’t enough good things I can say about Dr Garner! Love his personality! Patient for ilife! Dr Garner has a lot of experience and knows exactly what to do with very little words from me. His technique is much easier on the patient and much more effective. I have seen Chiropractors with the traditional style and I found Dr. Garners method gets faster and more effective results. I was impressed with how smoothly my appointments went. The staff was very friendly and professional. I had a problem with my left shoulder and the pain has subsided, since my last appointment. I recommend Dr. Garner. I have been to two different places and I could clearly see they did not know what they were doing. Both of these places I was seen two or three times and there was no difference with the treatment I received. However I was seeing here and hours after my first consultation it was a huge difference! This is the second time I go and I feel better already walking out the door then before the first time. Do not go anywhere else come in be seen here! Thank you for helping guide me to improve my health. Friendly and very professional. Thank you. Very thorough and informative exam with excellent results. I learned a lot about my problem that I was not aware of and am much more knowledgeable about it than before. After almost 40 years of going to chiropractors and having just moved to New Mexico. How lucky and fortunate to find probably the best chiropractor I’ve ever been to in my life…thank you! Very friendly on my 1st visit, I felt very comfortable! Dr. Garner’s office provided me a new lease on life by gracefully and comfortably getting my lower back, back in shape. I feel stronger and 100% healed! Thanks to the whole office! I appreciate Dr. Garner’s demeanor, very calm. If he believes he can help, he will and does. He has been open and honest with me about my condition, which is greatly appreciated. I am so grateful to have found Dr. Garner! I hadn’t been to a chiropractor in 30+ years and was in terrible neck pain that occurred overnight. His method of treatment is the only kind I can tolerate. He has helped me a great deal already! Thank you to the whole staff!! Everyone has been very kind and helpful. Dr Garner deserves all wonderful compliments. Great appointment! Dr. Garner you are a miracle worker! Staff was excellent and the overall office environment was great. At first I was doubtful Dr. garner’s method would work, but boy was I wrong! Amazing results. Very happy I can be treated and get back to a healthy lifestyle. It’s 2 days later and I feel so much better already! Thank you! Awesome practice. Doc is great and is very honest with you about expectations and exactly what he can do to help you!